As goes the old proverb, “the difference between ordinary and extraordinary is practice.” In order to enhance your rummy skills, you must practice every day. While you may lose quite often in the initial days, if you keep practicing and learn from your losses, you will learn to avoid the same mistakes. Once you start excelling at the game, you will be one step closer to becoming a pro. 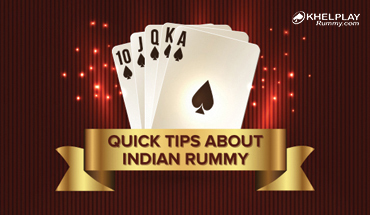 Rummy can be tricky and confusing when it comes to picking and discarding cards. Keeping an eye on others is paramount to winning this game. So observe the cards picked and discarded by the other players. Keep a notes section to jot down important picks and discards. Also, you can track the cards using the dropped section. Observing also entails learning from the pro players who are expert at playing the game. You can learn a lot by analyzing their sharp moves and strategies. Watch every discarded card to judge the mind of other players. Like Chess, rummy too is a game of skill and strategy. 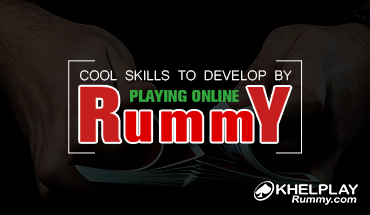 Learn and work on all the rummy strategies before and after the match to improve your game. Stop using the old fashioned hackneyed tactics again and again. Also, observing your opponents is a must. Make your moves as per your situation. Gain a fair advantage by changing your strategies in between, and you can surprise or trick your opponent. Later on, you can use this advantage to the fullest. High-value cards including the Ace, King, Queen, and Jack have no use unless you are making a valid set using them. Otherwise, they add unnecessary points to your scores. Therefore, it is wise to get rid of them as soon as you can to avoid the penalty points. In the game of rummy, being patient is paramount. 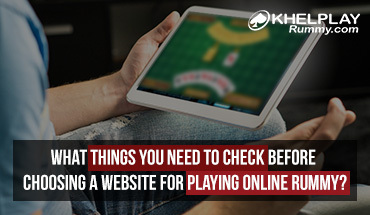 However, it is quite common of rummy players to blunder. Playing a bad move in a hurry can cost you the entire game. So if you are making your decisions too quickly, you are bound to lose. Therefore, learn to stay calm and take decisions wisely to increase your probability of winning the game. Maintaining calm is the key to winning the Rummy game. This blog correctly states that being patient in Rummy is paramount. I have seen a lot of players losing a winning game just because they act in a hurry. You need to be very patient while playing this game. Think twice before you make a move. Analyzing the situation well will increase your chances of winning the game. Making your decisions too quickly will surely make you lose. If you are a player who is patient or knows to keep calm, the ball will surely be in your court.